In 2001, researchers from the National Institute for Occupational Safety and Health (NIOSH) installed instruments at the Turquoise Ridge Mine in cooperation with Placer Dome, Inc. to monitor the geomechanical behavior and stability of a cemented rockfill (CRF) sill and the surrounding host rock during test mining of a large undercut span beneath backfill. Six parallel, adjacent drifts were mined and backfilled to construct a CRF sill, approximately 22.9 m (75 ft) wide by 30.5 m (100 ft) long. The sill was then partially undercut, successfully creating a 13.7-m (45-ft) wide by 30.5-m (100-ft) long span beneath the CRF. Only small vertical displacements were measured in the overlying host rock during mining, with most of the movement occurring at shallow depths in the mine roof. Because the back above the CRF sill remained stable, the majority of the mining-induced stress was transferred to the host rock abutments rather than to the backfilled drifts. During retreat mining of the undercut span, the CRF sill and the mine roof remained stable. Most of the measured vertical displacement was caused by separation of the backfill from the overlying host rock, or deflection of the CRF sill, which was comparable to the deflection of a monolithic, elastic plate having similar dimensions, material properties, and undercut spans. The CRF sill moved in mass as a single unit rather than as individual drift segments, and the vertical cold joints between adjacent backfill drifts did not adversely affect their stability. Additional measurements collected from the instruments have shown that the backfill span is still intact and in stable condition more than 16 years after the completion of undercut mining. Displacements in the mine roof and abutments have stabilized, and vertical stress and deformation within the CRF have generally leveled off or decreased. Although only slight mining-induced loads were transferred to the backfilled drifts, the CRF has confined the abutment ribs and mine roof, thereby improving their long-term stability. Results of compressive and tensile strength tests conducted with CRF samples from the test site indicate that the long-term compressive strength gain for CRF is similar to that of concrete, and that the tensile-to-compressive strength ratio for CRF is about 1/6 rather than 1/10. Assuming the in-place CRF gained strength at the same rate as the lab samples, an analytical analysis of the flexural stability of the CRF undercut span shows that the Factor of Safety for the span should have logically increased over time. By providing a better understanding of the long-term strength properties and geomechanical behavior of CRF, these research findings help improve the methods that are used for designing stable, long-term undercut entries beneath cemented backfill. The findings and conclusions in this paper are those of the author(s) and do not necessarily represent the views of the National Institute for Occupational Safety and Health (NIOSH). Mention of any company or product does not constitute endorsement by NIOSH. The authors thank several former employees of Placer Dome, Inc. for the opportunity to conduct the initial backfill span study in 2001; in particular, Rob Usher and Brian Simmons for initiating the study and Bob Schuler, John Evans, Chris Jacobsen, Rick Smith, Bert Bellows, and Tom Cassar for their help with the instruments and data acquisition equipment. 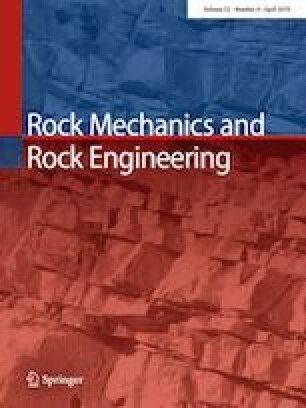 The authors also thank Jon Carlson and Chase Barnard of Barrick Turquoise Ridge for providing access to the test site for manual readings, and Mike Stepan and Seth Finley of the NIOSH Spokane Mining Research Division (SMRD) for assistance conducting the CRF laboratory tests. The successful completion of this study would not have been possible without the assistance of several former NIOSH employees, most notably Doug Tesarik and Mike Jones. Finally, the authors thank the reviewers for their contributions to this paper.